After finishing a 3 week adventure along the east coast of Australia, my boyfriend and I decided to head to South Asia but not before stopping over in Bali for a little luxe holiday before the budget travelling began. We only had 5 days in Bali so mainly touched the tourist parts although I wish we could’ve rented a scooter for a week and just roam. 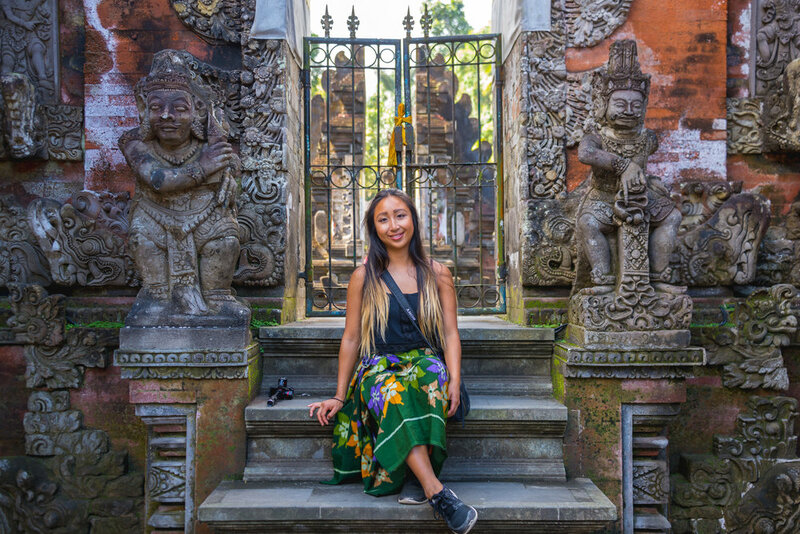 Here are my sleep, see and eat suggestions for 5 days in Bali. It’s a funky hotel with a modern design based around a bunny. It was extremely clean, stylish and the staff were very helpful. There’s a restaurant attached to the hotel and pools on the ground level and rooftop. Location is excellent too - you’re in the middle of it all so all in all, great value. I quickly realised there’s no ‘centre’ of Seminyak. It’s a large area with a lot going on everywhere. Taxis are fairly cheap (around $2-$4CAD to get you around different areas of the centre) so don't be extra frugal like me and die in the heat walking everywhere. On day 1, we browsed around Jl. Raya Seminyak, a main shopping street, which never seemed to end. We then took a taxi to see the sunset at Tanah Lot, a temple that sits right along the coast. There's big trail that where you walk through the classic tourist traps or you can skip this and walk straight through to the temple. Watch out for all the tourists that will show up in your pictures! I was so excited for all the healthy food that Bali was famous for. I found most of the cafes were cheaper versions of what you would find in typical Australian cafes. I recommend Sea Circus Cafe for a nice juice and brekky (try their avo on toast with mushrooms, yum). Nalu Bowls was an Instagram find but their Instagram is better than their bowls to be honest. I’ve had better smoothie bowls elsewhere but again, good value for what you get. For Indonesian flavour, try Biku, which was right next to our hotel. The last three nights were spent in Ubud, the tourist capital of Bali for all things yoga, rice terraces and elephant pants. We dished out a little more money for our accommodation in Ubud, which was the best decision ever. The hotel basically in a jungle, hidden away from the craziness of Ubud’s centre but only a 10 minute drive away. Also did I mention each room comes with a private infinity pool overlooking the jungle? SOLD. For me, Ubud is a better location to stay as there’s more to see and do around there than Seminyak. We rented a scooter and visited the Tegalalang Rice Terraces and Pure Tirta Empul. The rest of the days were spent lounging around in the hotel making the most of the place and walking around the centre of Ubud. I passed on the Monkey Forest - not down for getting bit by crazy monkeys. 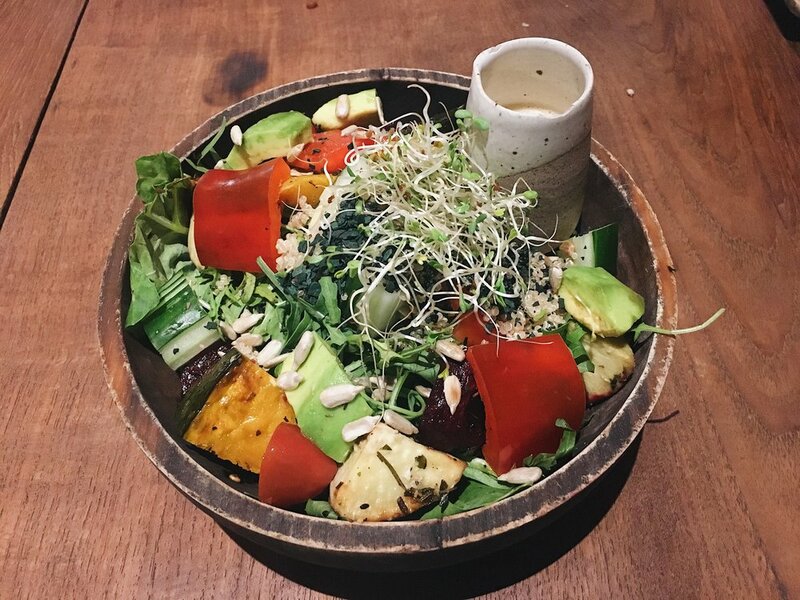 When it came to eating, Ubud had so many healthy options but I found the food was just ok. I’ve eaten better meals but it was nice that many restaurants focused on organic dishes and there was no limit of vegetarian choices. I loved Clear Cafe for their beautiful restaurant and a never ending drink list. Kafe was another great choice for healthy options and tends to be popular among the tourists. If you wanted Indonesian, almost every restaurant we tried with Indonesian options had tasty dishes so you can’t really go wrong. Bali is the every basic girl’s dream so I loved it. I could’ve spent another 2 weeks there but happy that I got a little taster. This was just our itinerary in the 5 days we had but there are lots of different areas to see on various budgets. Final thoughts: go to Bali, soak up the sun and try eating more veggies.